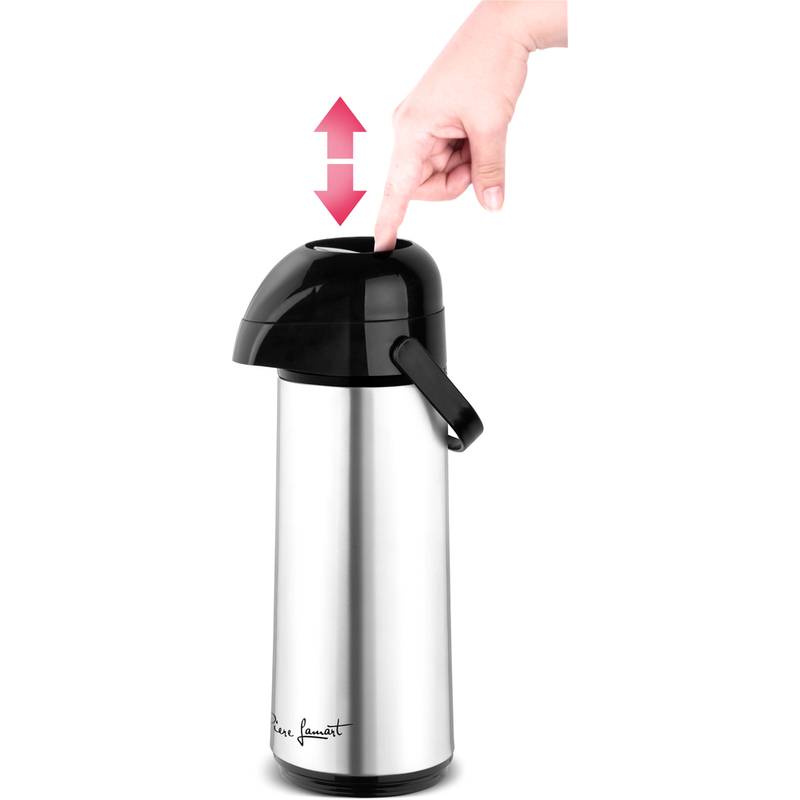 Vacuum flask with dosing pump made from very durable plastic with an inner glass insert. 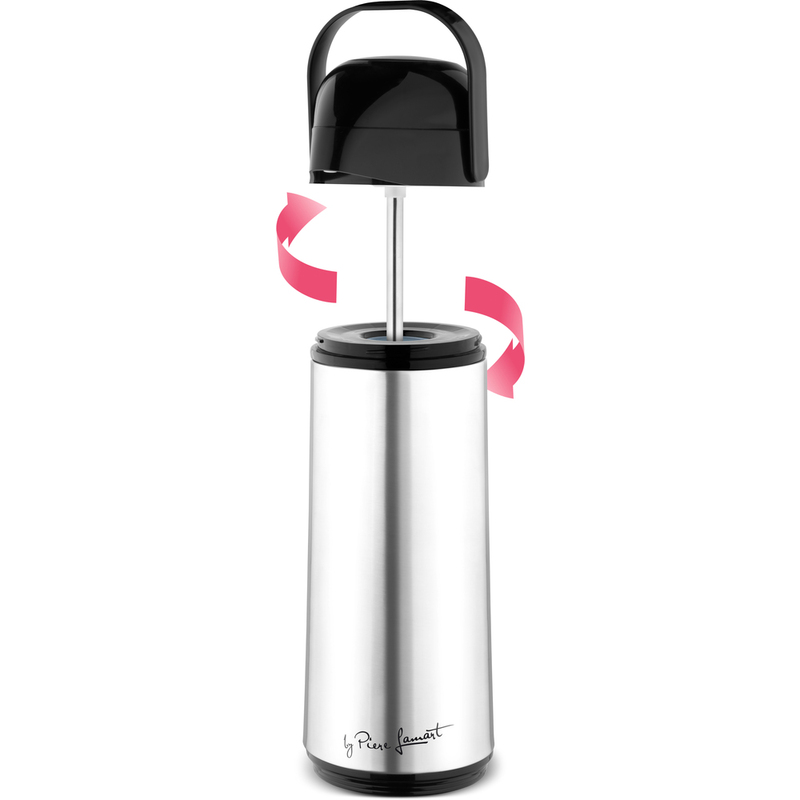 The insert has heat insulating properties for keeping beverages hot or cold. Very elegant handle and practical cap.